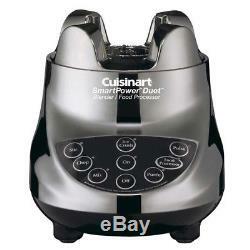 Cuisinart Smart Power Duet blende/food processor gives you a blender and food processor in one compact design. Its 350-watt motor speeds up a variety of tasks from slicing, dicing, shredding, mixing, chopping, and more. With seven speeds (one just for ice crushing and one for food processing), this user-friendly food mixer is perfect for everyday cooking or entertaining. 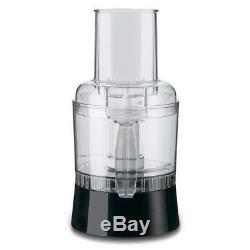 Glass blender jar with dripless pour spout, large 3-cup food processor bowl with cover, feed tube and pusher, plus stainless steel chopping blade and slicing/shredding disc. In classic black and chrome finish. 6 1/2" L x 6" W x 16 H. 6 1/2" long x 6" wide x 16 high. Features 7 speeds for a variety of tasks. 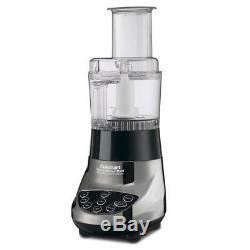 40-oz glass blender jar and 3-cup food processor jar. O Boxes & APO's, HI, AK, PR or GUAM. Please be sure to check all information very carefully before placing your order. 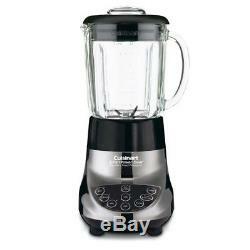 The item "Cuisinart Smart Power Duet, Blender/Food Processor" is in sale since Monday, June 18, 2018. 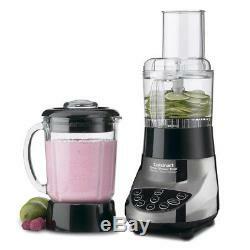 This item is in the category "Home & Garden\Kitchen, Dining & Bar\Small Kitchen Appliances\Blenders (Countertop)". The seller is "jefferlatime-0" and is located in Richardson, Texas. This item can be shipped to United States.